Join Jimi Hendrix, Billy Cox, and Mitch Mitchell for their second show Live at Berkeley Community Theatere on May 30, 1970. 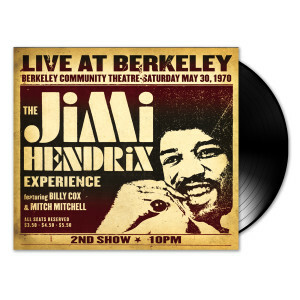 This 2-LP set is pressed on 180 gram wax and is the first time this live show has been available on vinyl. Also includes rare performances and Hendrix favorites.